Oh, Leo… Actor Leonardo DiCaprio is having a banner year for a mega-rich activist, and he’s wowed us yet again. The charitable foundation that bears his name has granted $1 million to the island nation of Seychelles, which is made up of 115 tiny islands situated in the Indian Ocean. The small country has pledged to protect some 154,000 square miles of ocean waters, which in turn protects its people and economy. The donation from the Leonardo DiCaprio Foundation (LDF) supports a larger effort to offer financial aid to the island nation. In addition to the million dollar gift, foreign investor groups have agreed to a “debt swap” agreement, which calls for a massive restructuring of the nation’s $21.4 million debt in exchange for ocean protection efforts. The Seychelles government has plenty of reasons to want to protect its surrounding seas, as much of the country’s economy relies on tuna fishing and water-centric tourist activities. The Nature Conservancy helped broker LDF’s gift to the Seychelles, and the money will be used to support the deal made with the country’s lenders. Instead of repaying high interest loans, the government will pay into a new locally-run agency, the Seychelles Conservation and Climate Adaptation Trust. The deal will increase ocean protections from one percent to over 30 percent and result in the creation of the second-largest marine protected area in the West Indian Ocean. The Seychelles has the smallest population of any independent African state, with just over 90,000 residents, and the soon-to-be protected waters make up 99 percent of the country’s ocean territory. LDF has been working since 1998 to contribute financial support for environmental protections around the globe. The Leonardo DiCaprio Foundation will grant $1 million to back the first-ever debt-for-nature swap between the island nation of Seychelles and its foreign lenders, which will result in the second largest marine protected area in the West Indian Ocean. 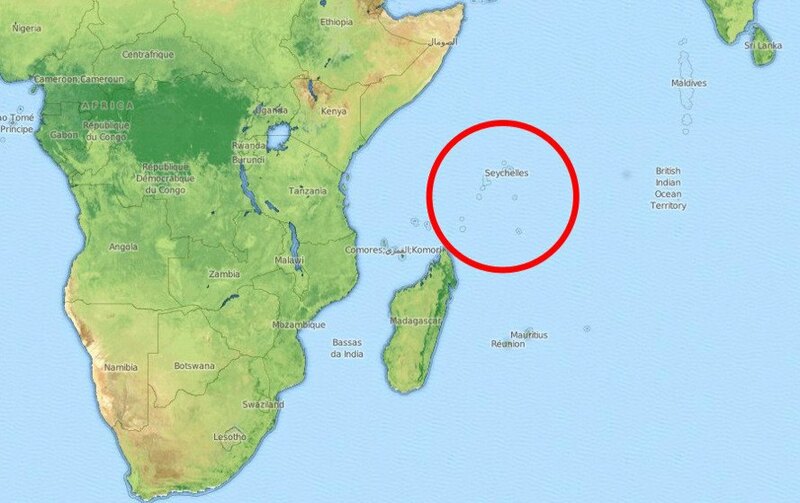 The Seychelles is a nation of 115 islands off the eastern coast of Africa, north of Madagascar.